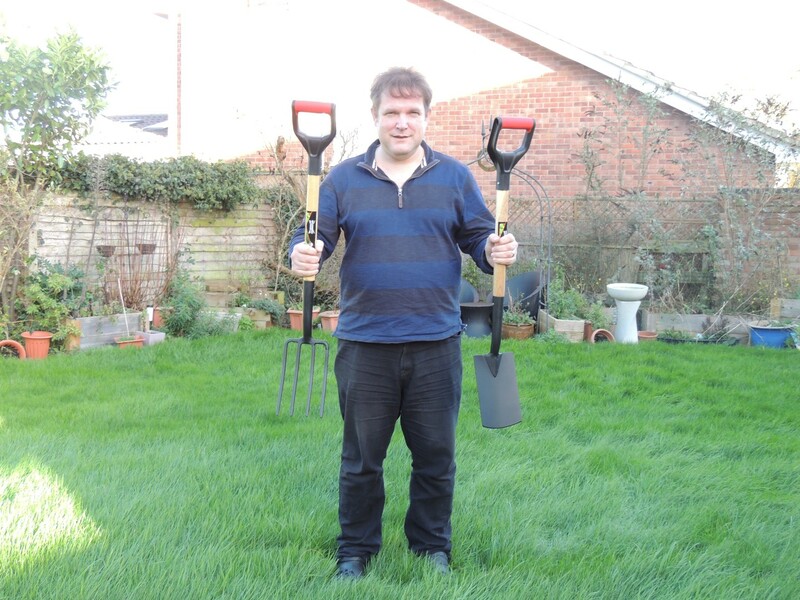 For the last few weeks I have been putting three Wilkinson Sword garden tools through their paces. A patio knife, a weed grubber (which I had never heard of) and a large plastic head garden rake. So without further ado here are the results. As this is a ground level job it is one that I can not manage, bring on one handy hubby and let the trial begin. 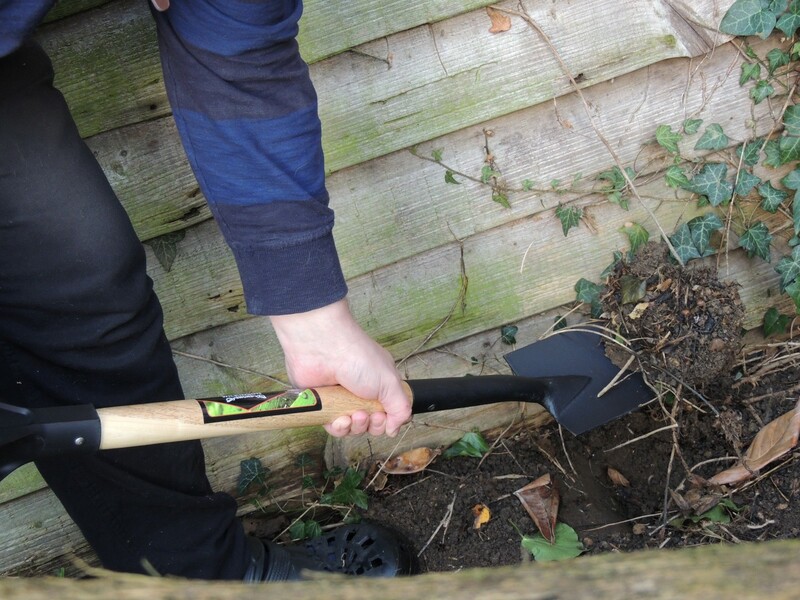 Immediately James liked the feel of this short wooden handled tool, his old one is plastic and feels somewhat flimsy compared to this good strong wooden handle, he thought it was much more useful as he could apply more pressure where needed especially when using the flat blade edge for chopping the weeds that were growing close to any brick work. 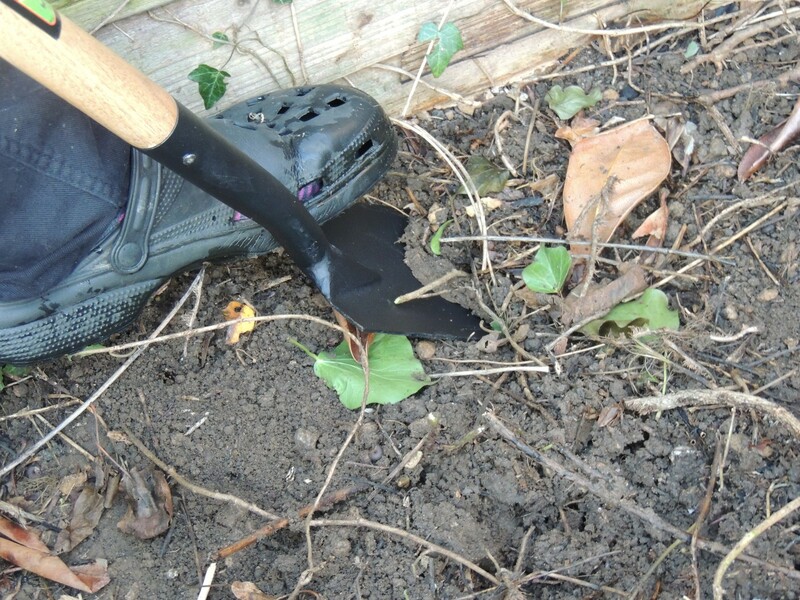 The angle of the blade was perfect for getting deep in between the paving slabs and where we had big weeds popping up it was fantastic at loosening the roots which made them simple to pull up complete with the whole root. I am ashamed to say our patio needed a serious clear so this fine tool came in very handy. The patio knife certainly passed James’ fussy tool taste and he has squirreled it away in an “I’m not sharing” manner, which is praise indeed. I felt the quality of the patio knife was top notch, obviously it has a shape blade so use with care but it really does do the job well, one quick slice in the crevices and all the weeds, grass and debris comes out. My turn now to get my mitts on the weed grubber. I must admit this is a new tool to me and I wasn’t really sure that I needed such a thing. how wrong could I be? 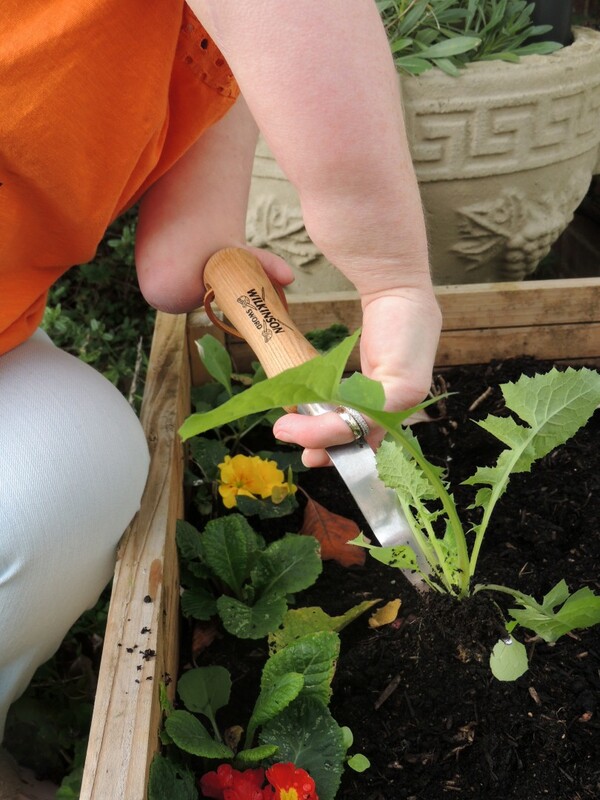 I was amazed at how easy this tool shifted the deep rooted weeds in my front gardens raised beds. My two fingers make this job a tad tricky but the grubber was actually like having some extra fingers! a huge bonus let me tell you. I picked a particularly large dandelion which are notorious for their long roots , wiggled the two pronged finger bits around the stem pushed back on the handle and pop! out came the entire weed, root and all! A very happy weeder here. Wooden handle tools are becoming a firm favourite for me, they feel so smooth and light weight, I used to think they would be heavy and unwieldy but that’s not the case at all. I also liked the fact that the metal section was flat and thin, this enabled me to hold it with ease. This tool would really help anyone with a weaker grip and or wrists as it removes the need to grip the weed at all. It would also be useful to get into those hard to reach places and further back in the border, and say goodbye to getting stung by nettles as this neat little tool means you will never have to pull one up with your bare hands again. Raking leaves is usually a long laborious job and you constantly have to keep thinking ” lovely leaf mulch” to keep you going, yet the Wilkinson Sword plastic head rake makes light work of the job in hand. James loved it so much he has gathered 12 black bin bags worth of leaves all ready to start making lots of gorgeous mulch for next years garden, usually he gives up after about three bags, now he is willing the leaves to drop off the trees. At the risk of repeating myself this rake really is a goody, excellent quality, soft wood that seems to mold to your hands, the extra large plastic head sweeps up a vast amount of leaves at a time making it much faster than normal. The flat plastic ends of the head stops any leaves getting spiked onto the head which then need scraping off by hand, none of this with this rake, it also works across all surfaces from slabs to grass to borders, it easily glides from one to the other bringing the leaves with it. James was super impressed that it worked equally well at getting the driveway clear. 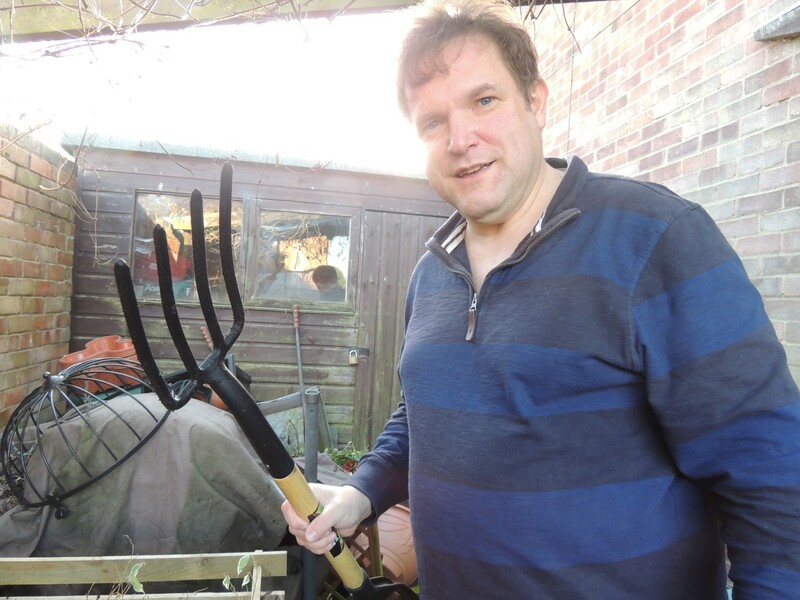 I did give raking a go so I could write about it properly, the twisting and pulling action required is something I avoid but I did manage to rake up a good amount of leaves with this rake. the smooth wooden handle slid easily through my arm. 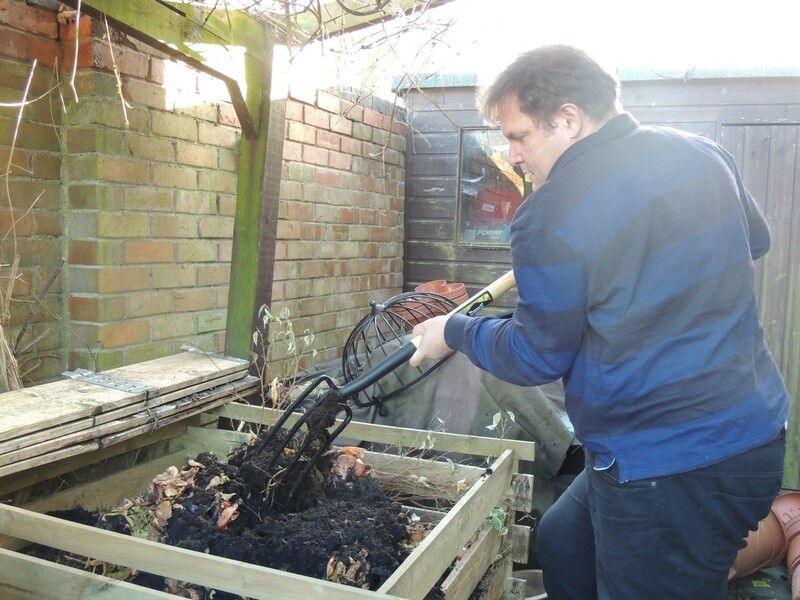 Let me explain, I have to hold the handle tucked under my left arm (no hand on my left side) and then use my right hand as a sort of balance, anyway then I had to throw the rake outwards and pull back, jobs a good’un. The rake head is very tough yet super flexible thus hardly any effort is needed, making it a more enjoyable and faster garden task. In fact another family member wanted a go too. Our little granddaughter Kayleigh (squishy to us), only 22 months old loved helping Ga Ga (this is her name for James, Grandad). Her little face lit up while holding the handle and pushing it about, mind you I am not too sure how helpful she was when it came to bagging up the leaves but oh boy did she enjoy stomping about, throwing the leaves in the air and yelling “tidy up ga ga ” she had us in stitches and to me that’s the whole point of gardening, fun, laughter and the simple enjoyment of it all and having the right tool for every job only enhances the enjoyment. Later on that day we went to visit my father-in-law, who happens to live next door and he was bemoaning his tiny leaf rake and did we have a better one? Funny you should ask, we let him borrow the Wilkinson Sword and he was amazed at how much better it was, in fact he loved it so much he now wants one for Christmas! Sold on the rake then and there is no better recommendation than that. From 22 months to 78 years old this rake was a true hit across the ages, a must for every gardening family. 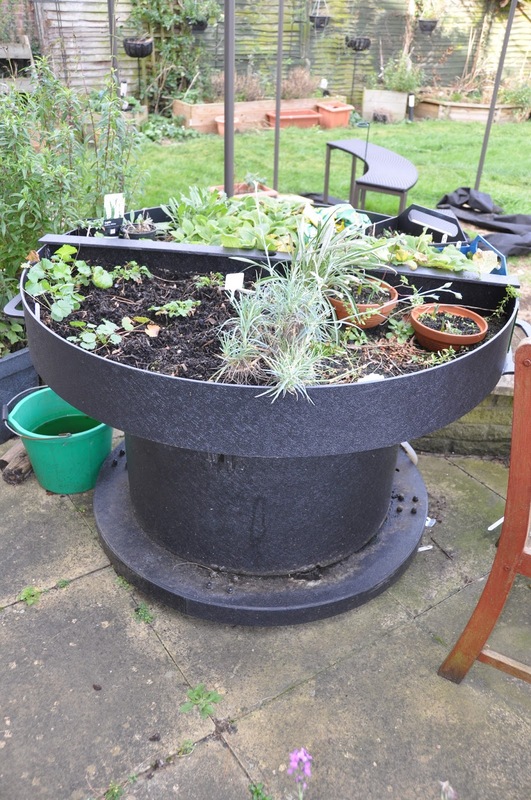 Welcome to my very first Wolf-Garten garden tools trials blog. This is a fabulous year long project that I am really over whelmed to be part of. 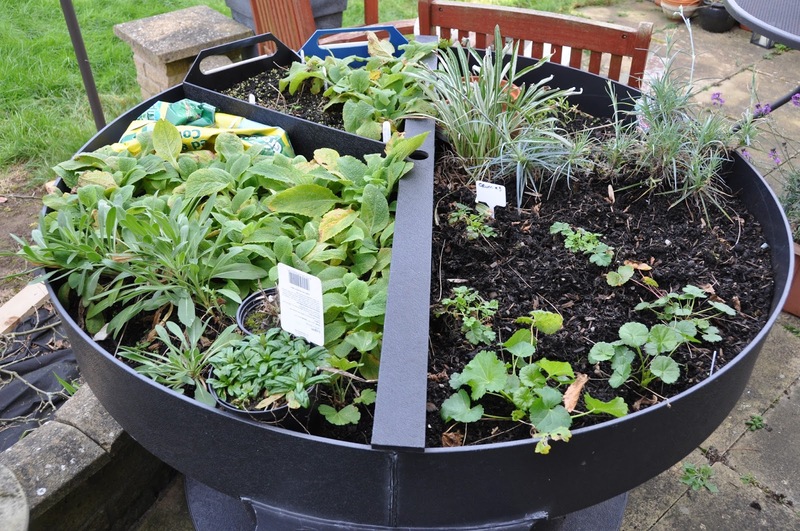 Over the next year I will trialling all sorts of Wolf-Garten gardening tools from my own unique perspective. 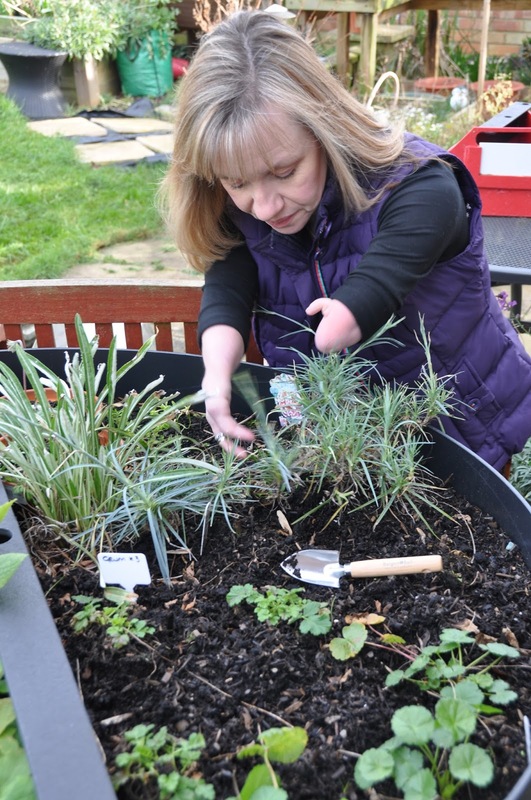 For those of you who are new to my blog, I am a disabled gardener with an ambition to inspire everyone to give gardening a go, its great for your health and I hope to prove their are no barriers to gardening. 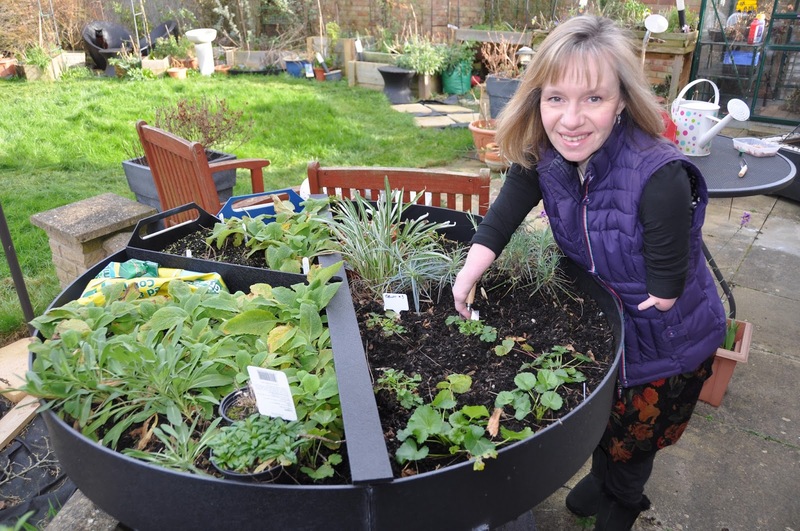 I have two fingers, severe arthritis, no proper hips that makes walking and standing for long periods very difficult and painful, however once in my garden I forget all this and get totally lost in my garden. 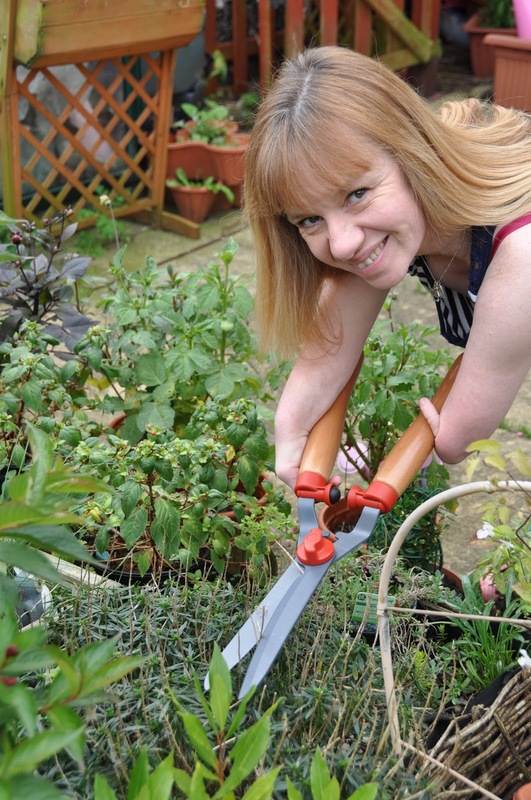 I have tested many different garden tools over the past few years in my mission to find the best tools for anyone but also those with disabilities, back problems, visual impairments anything really and I have been so very lucky to have been asked by Wolf-Garten to trial their tools and give my honest opinions here on my blog. I hope you will enjoy this journey with me. Right then enough waffle lets get on with it. Well what can I say? amazing, wow, wonderful and any other outstanding descriptions you can think of. 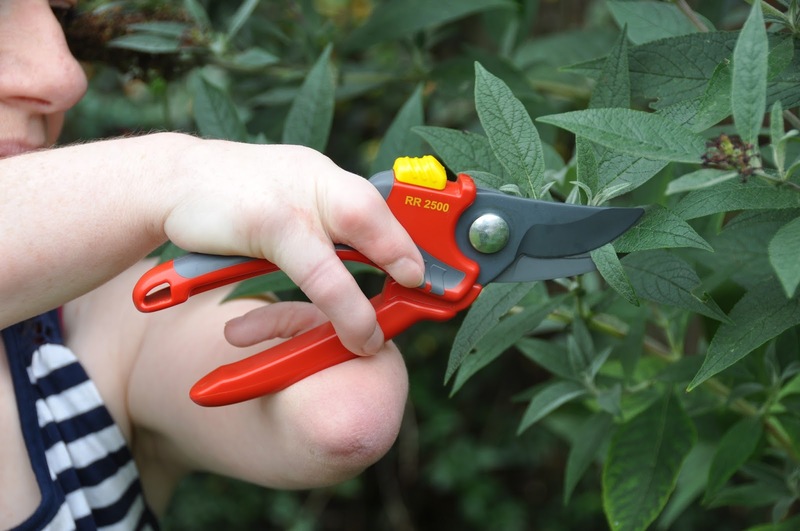 I know that all sounds too far fetched but trust me I have tried nearly every pair of secateurs I can get my hands on and have simply never been able to use them but these were incredible. 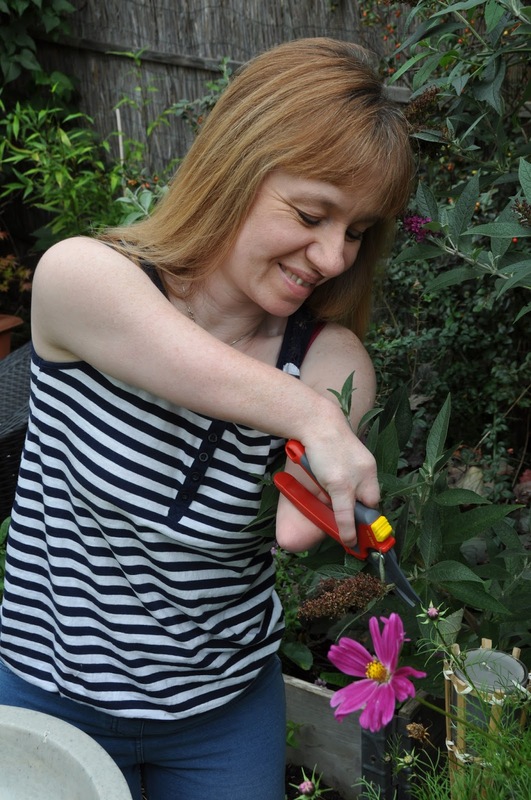 Firstly I love the Wolf-Garten colours, vibrant yellow and red which makes them ideal for finding in the undergrowth even for anyone with sight issues. If like me you are a drop it and lose it gardener these brightly coloured tools put an end to that, no more fruitless searching for long lost tools these simply shout out “here I am”. The real reason I love these secateurs is the weight and ease of use. I can actually hold them in one hand and my hand is very small, the great addition of a rubber strip on the handle is a bonus as it aids holding and prevents any slipping. The cutting action is smooth and clean, something I have not achieved before, I usually get a ragged cut that damages the plant but no such thing with these. They truly are outstanding. My husband James, who has good strong arms and wrists was very impressed with the ease at which they chopped through thicker branches effortlessly therefore less wrist and hand ache. 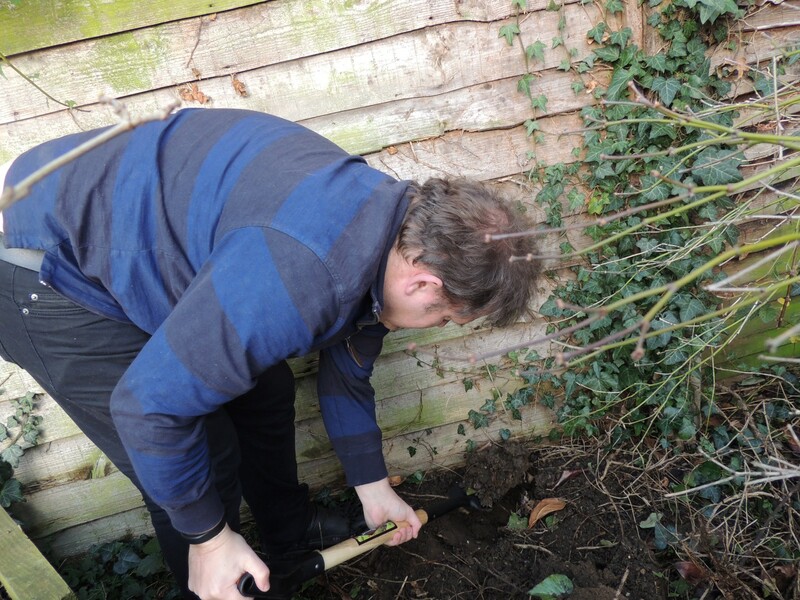 I have had a great time chopping back our huge buddleia which I have had to leave to James in the past. Now I can do it he is feeling a bit left out but he definitely isn’t missing my constant instructions of “oh not that branch, this one” or “No higher up, lower down, left a bit” however these secateurs have created a new job for him, picking up my ever growing pile of prunings. Unfortunately there were two small problems for me. The first being the packaging. I found it impossible to get the plastic cover off. I admit though I do struggle with a lot of packages on all products as my disability makes them hard to open so Wolf-Garten are not alone in this area. The other slight and temporary issue was the release button which I found particularly difficult to move on first use, although after three or four prunings the release button has loosened, although most definitely still strong enough to hold the blades closed. So all in all a huge thumbs up (if I had some thumbs to put up) these are my favourite bypass secateurs and they will be getting many many outings in my newly pruned garden. The first thing I noticed about these shears was the incredibly smooth, soft and almost warm feeling wooden handles. they are so easy to hold and again they are balanced really well making chopping with them a dream. I used them unconventionally as I used them as a mass dead-heading tool for woody stems. Usually I have to do this one stem at a time and it just takes forever and becomes a laborious job that I loathe. Now I can just swiftly chop a couple of times and job done! The little rubber bobbles on the handles are great as they stop the handles coming to a fast and jarring stop, a superior hedging shear in my opinion but don’t take my word for it James thoroughly enjoyed using them. He tested them on some conifers which he steers clear off as they bring him out in a rash but he braved them for this trial and was pleasantly surprised . Any way up, any angle, the shears just glided through the branches with a very satisfying chop, a noise that took my straight back to my childhood watching my grandparents trim their privet hedge. so an all round enjoyable experience for us both. I could not find any downsides with these shears. The packaging was simple and the quality outstanding, what more can I say?